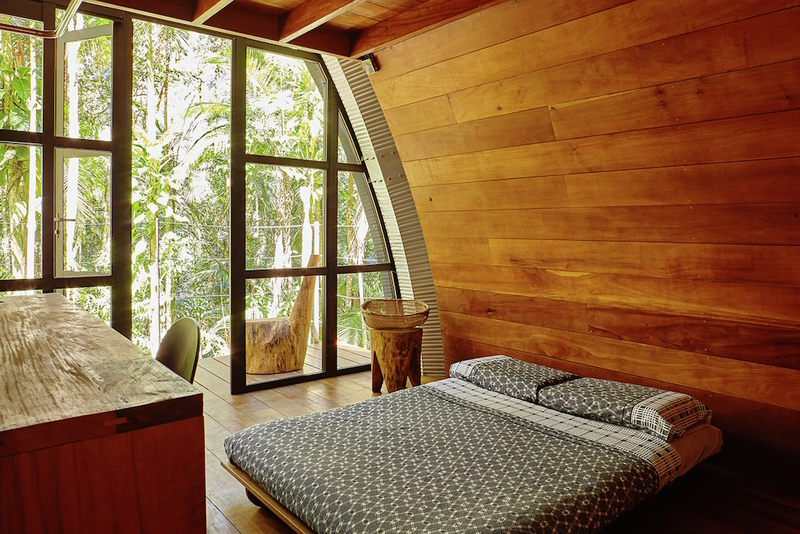 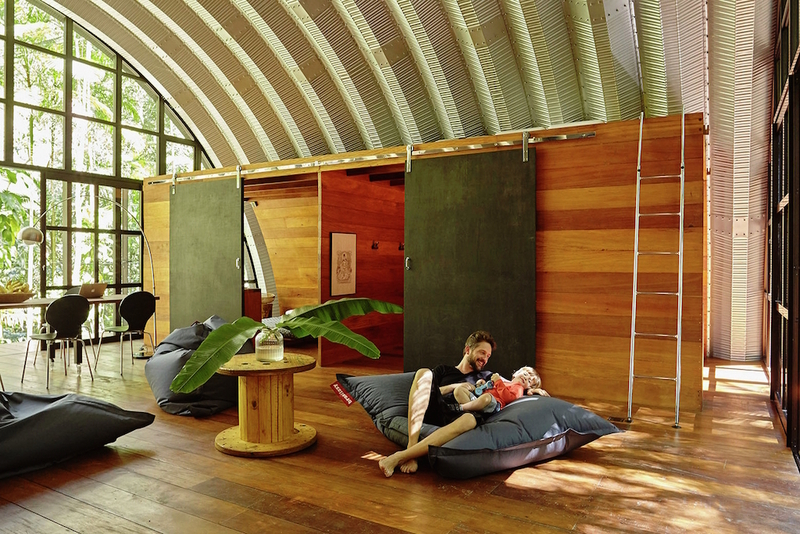 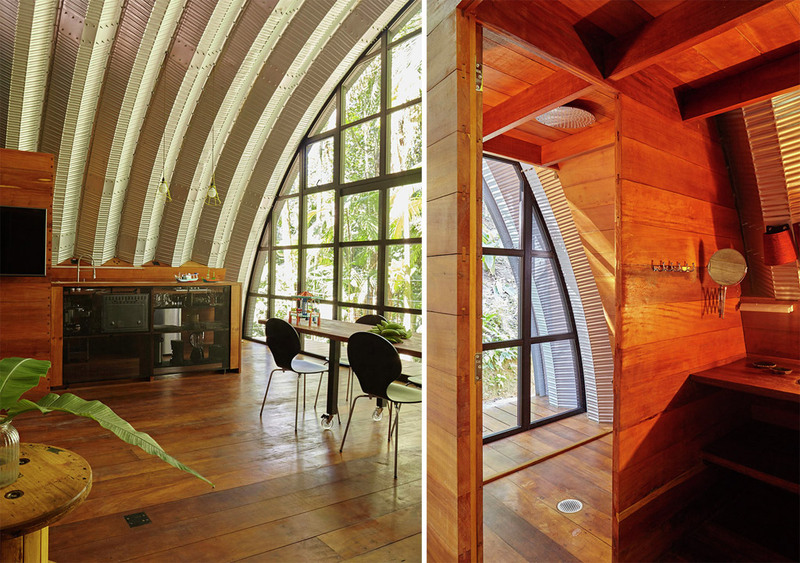 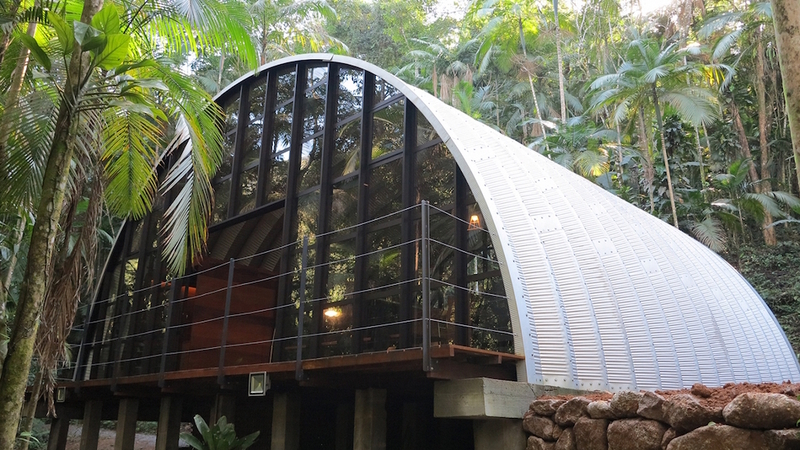 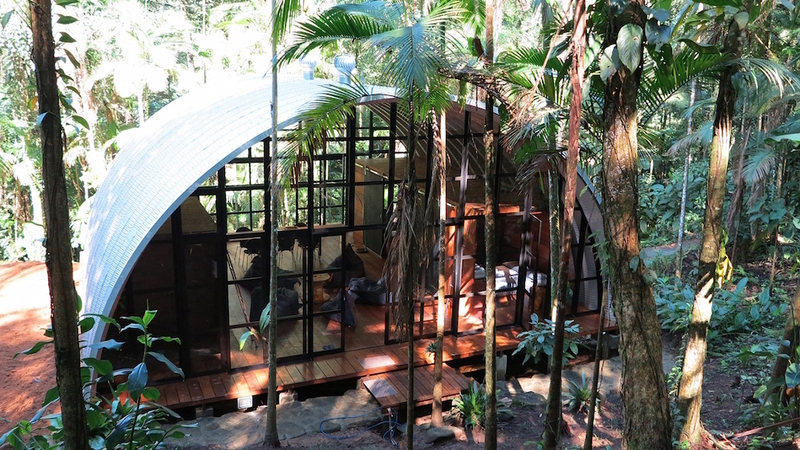 A 1,300 square feet roundhouse made from Galvalume modules in the jungle of Paraty, Brazil. 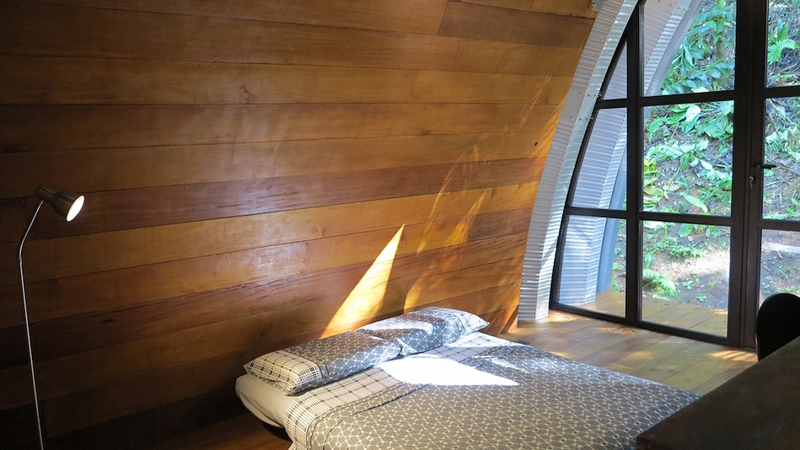 Designed by Atelier Marko Brajović. 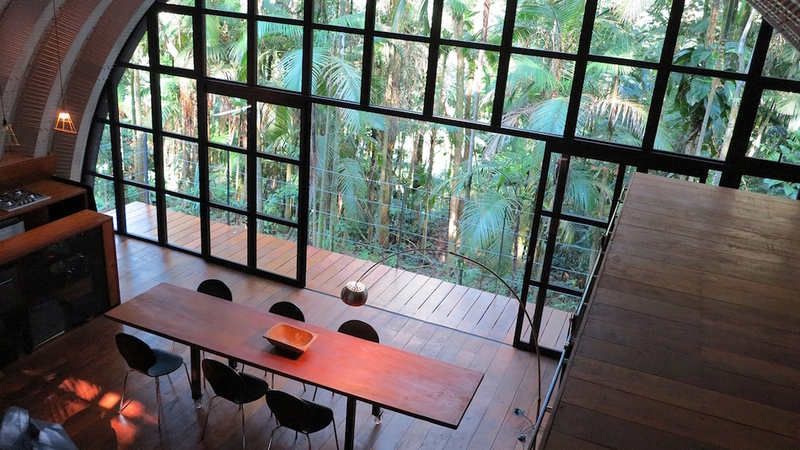 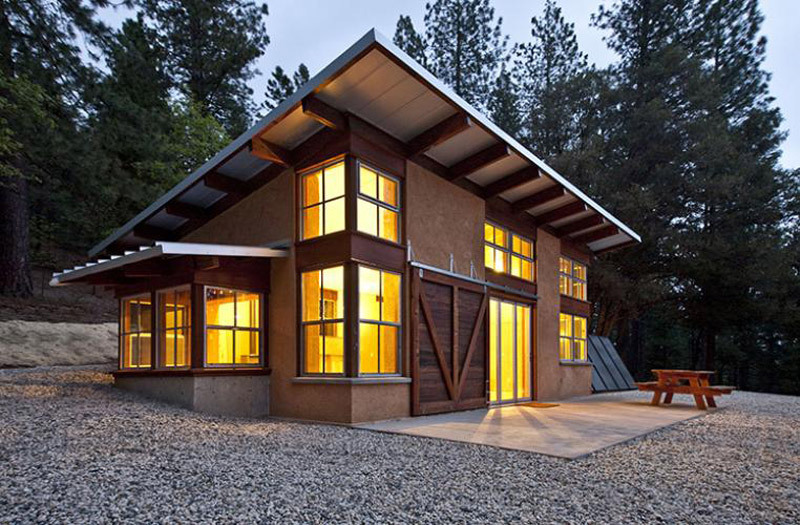 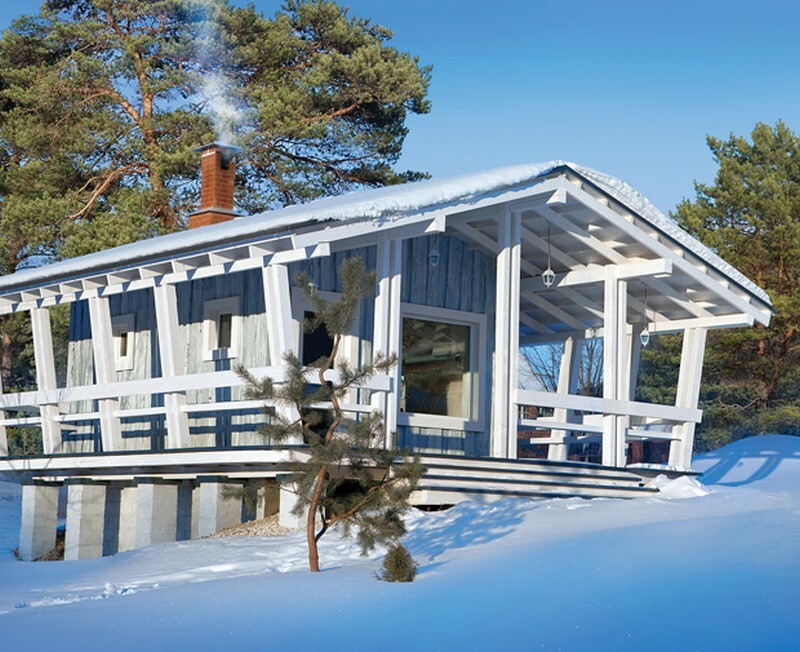 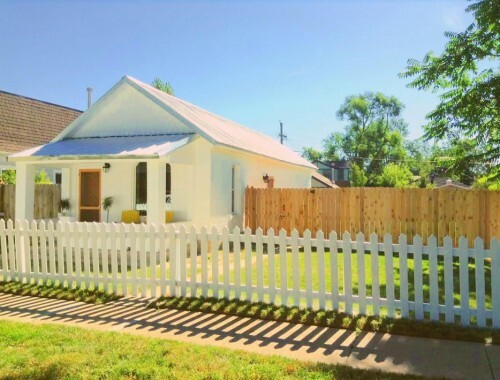 For the design outside, I love the inside and the views the architecture allows this house to have. 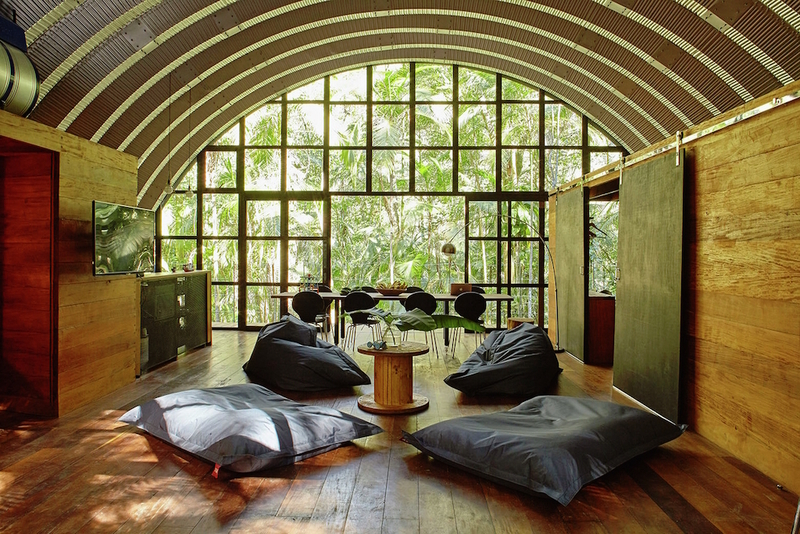 Condensation inside will be so bad it will be like it is raining inside. 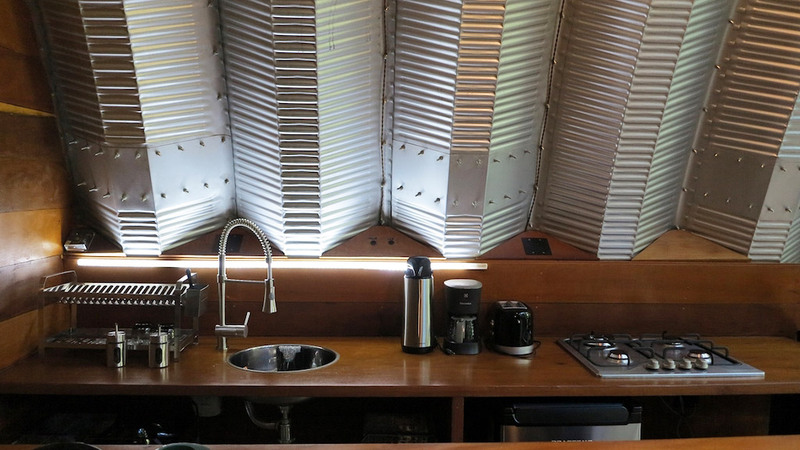 Anyone with a corrogated steel building knows exactly what I mean.